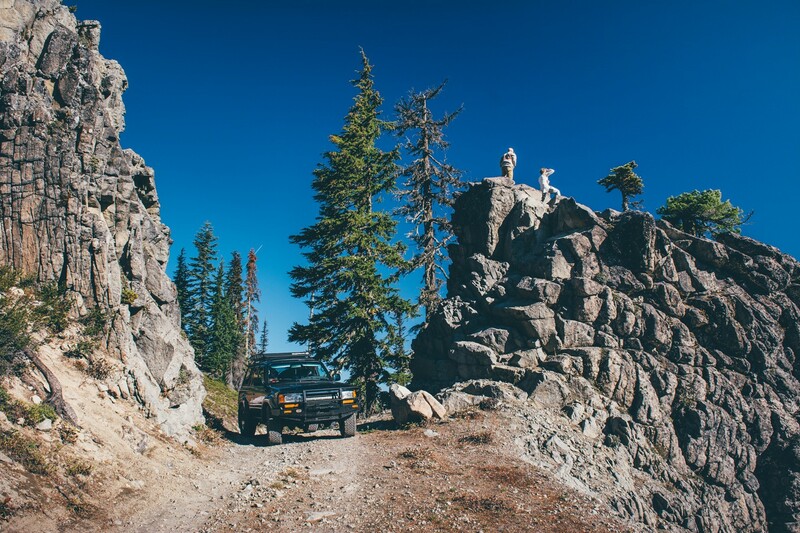 Winding along narrow shelf roads, through alpine forests, and past some of the prettiest views in northern Oregon, Bennett Pass Road is a jewel of the Mount Hood National Forest. 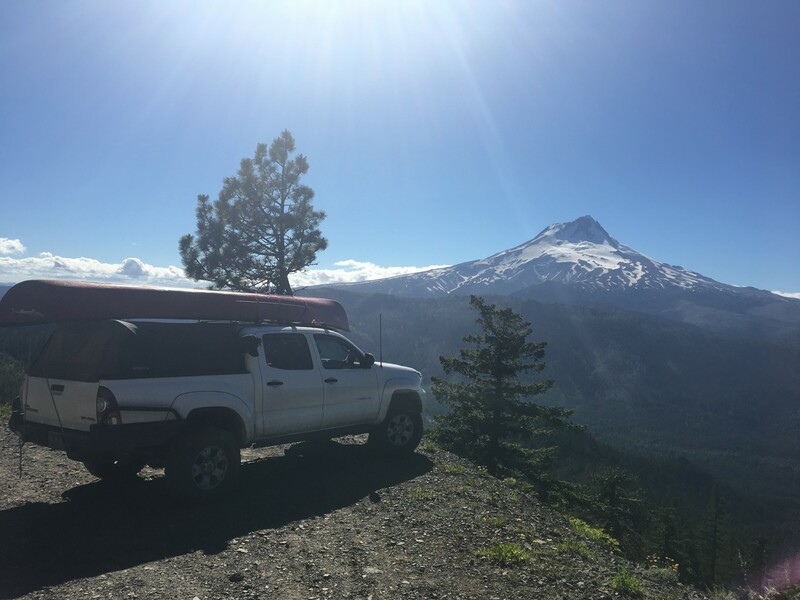 The amazing views of Mount Hood will be treasured memories for years to come. In the mid-to-late summer, wildflowers bloom along the many hidden hanging meadows and high prairies. Droves of butterflies can swarm around your vehicle on sunny summer afternoons making you think you're in a fairy tale. 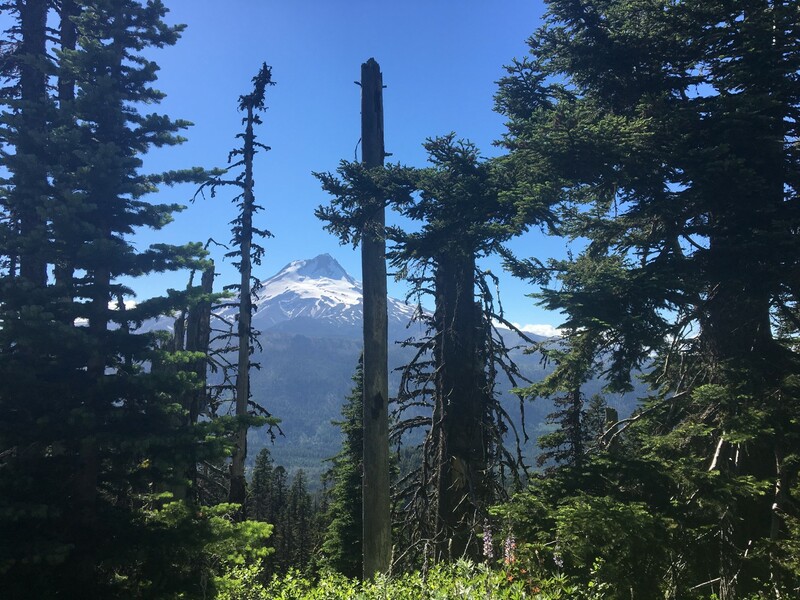 On very clear days, you can see from Mount Hood and Mount Adams to the north and all the way down south to the Three Sisters and maybe even Diamond Peak. Views to the east span hundreds of miles of high desert and the Oregon Outback. 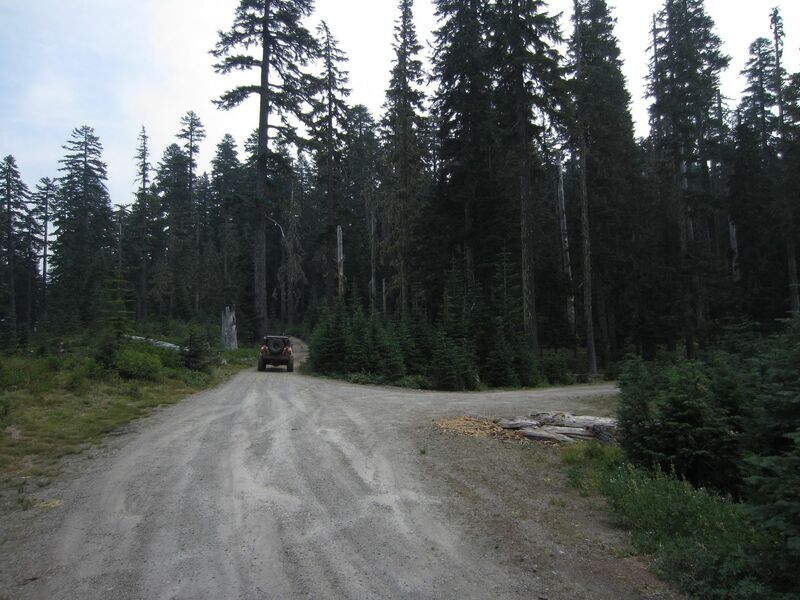 Bennett Pass (Mount Hood National Forest Road 3550) Road can be run in either direction although the shelf road described in Waypoint 6 is more easily navigated heading east in left hand drive vehicles. 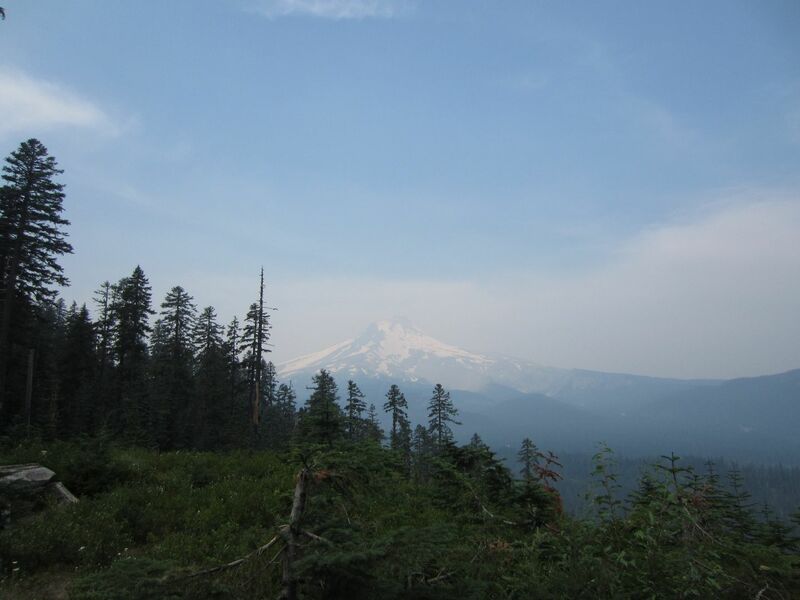 Jaw-dropping views of Mount Hood can be had in the vicinity of Waypoint 6 and between Waypoints 12 and 13. 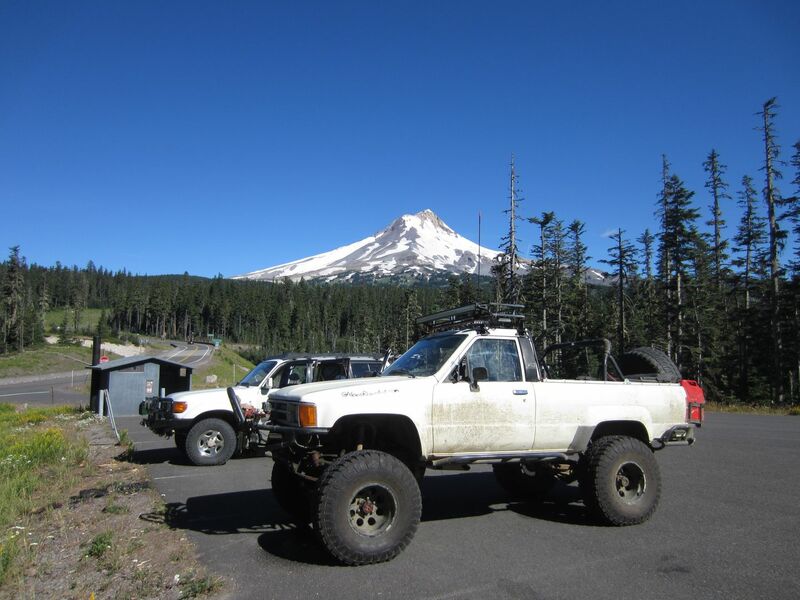 Driving Bennett Pass Road to the east will position your vehicle to have its front in photographs of Mount Hood while driving to the west will show your vehicle's rear bumper in photos. 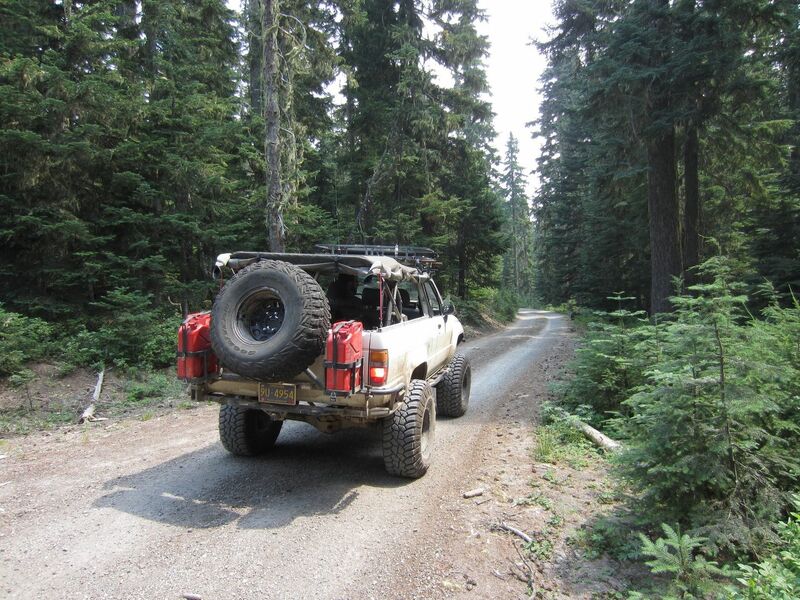 The route runs through varied terrain including towering pine and fir forests, rocky shelf roads, thick and powdery dust, deep washed-out ruts, a fire burn scar, and talus road surfaces. 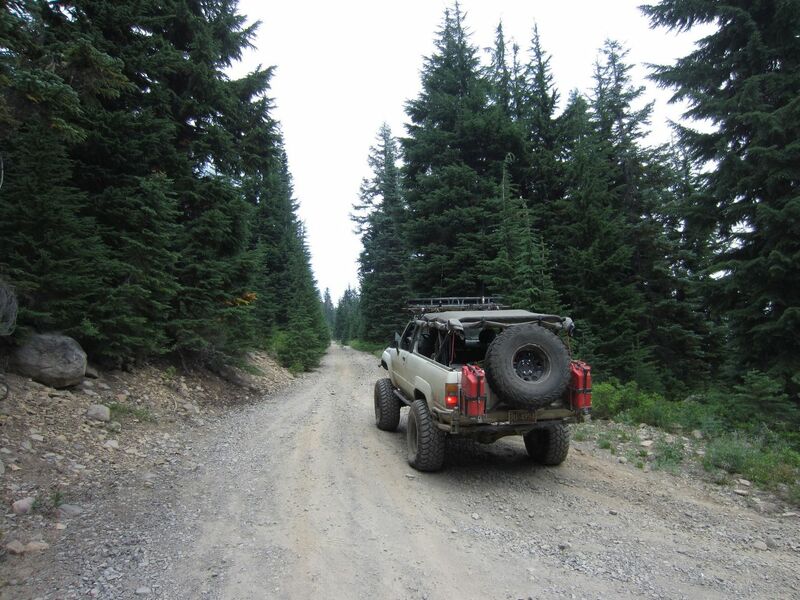 On the shelf road segments, exposure of up to 300 vertical feet is possible although except for at Waypoint 6, the road is always at least 1.5 vehicles wide. 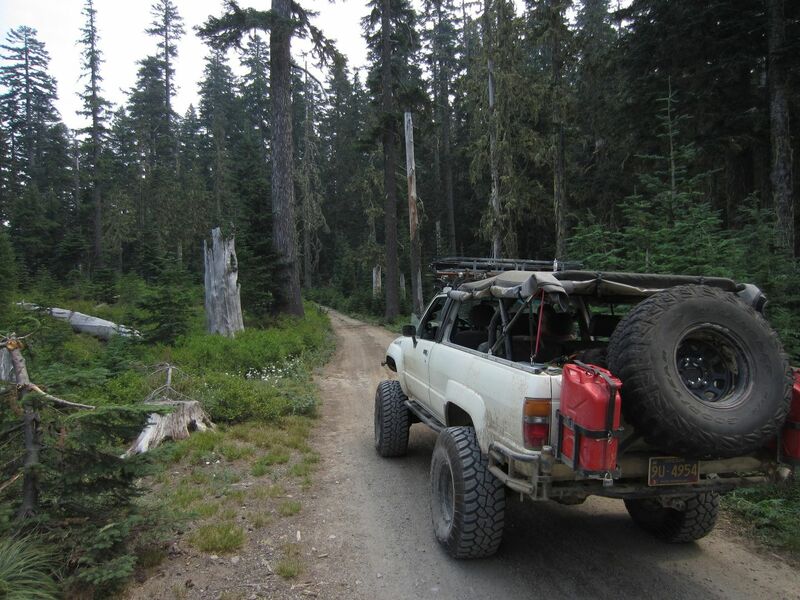 In the forest segments, downed trees hem in the road at pinch points where it is possible to pop the sidewall on a tire with improper wheel placement. 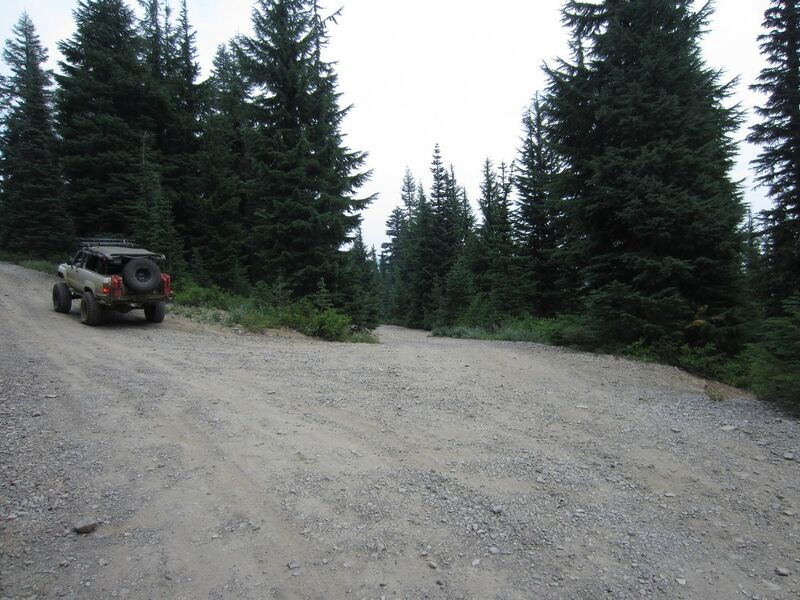 Turnouts are available sporadically but there are areas where oncoming vehicles may be forced to back up for some distance including on shelf roads. 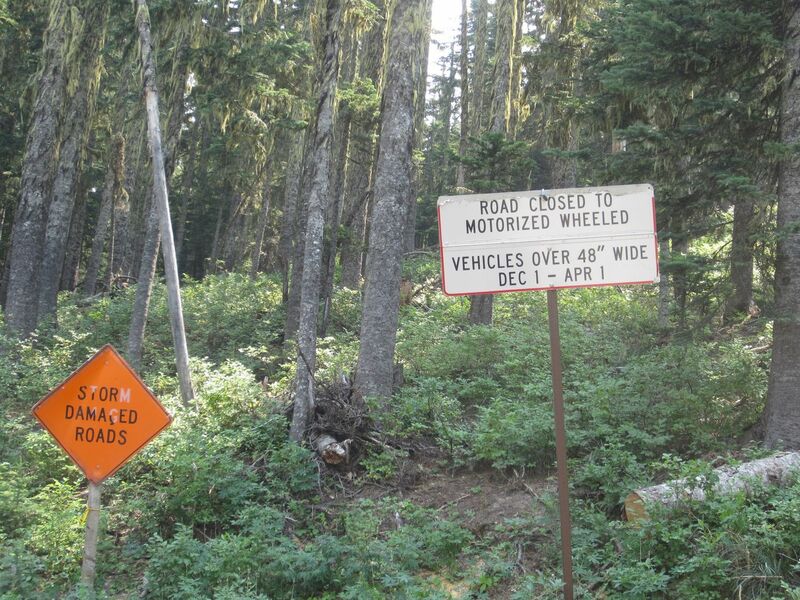 Note that this road is seasonally closed (December 1 - April 1) due to snow and to allow other recreational users to have unfettered access to the area. Please respect this seasonal closure. 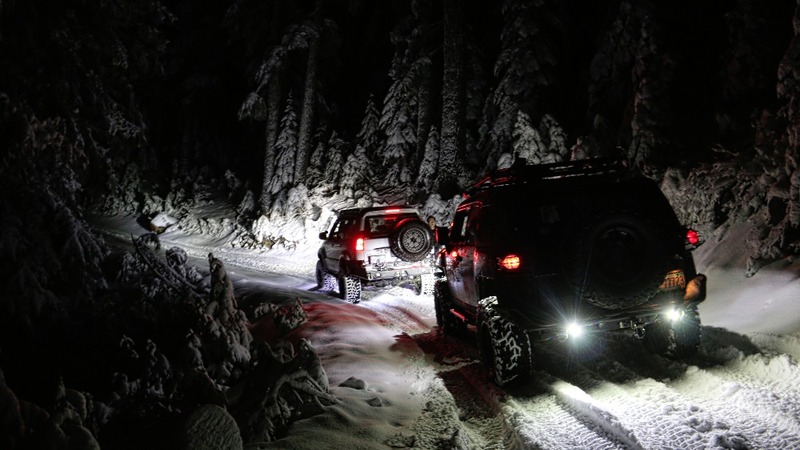 The shelf road at Waypoint 6 should be avoided if snowy or icy. 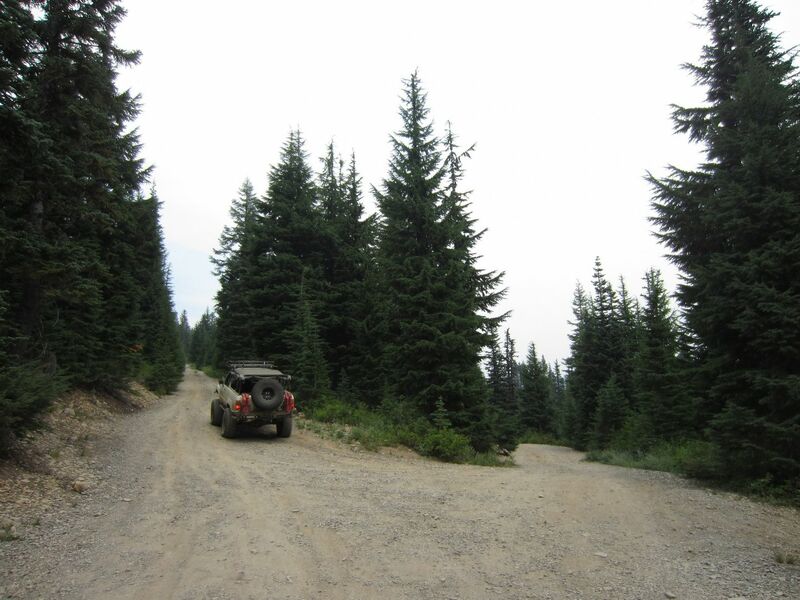 The shelf road also is very narrow in one spot which may be difficult for full-sized vehicles to navigate. 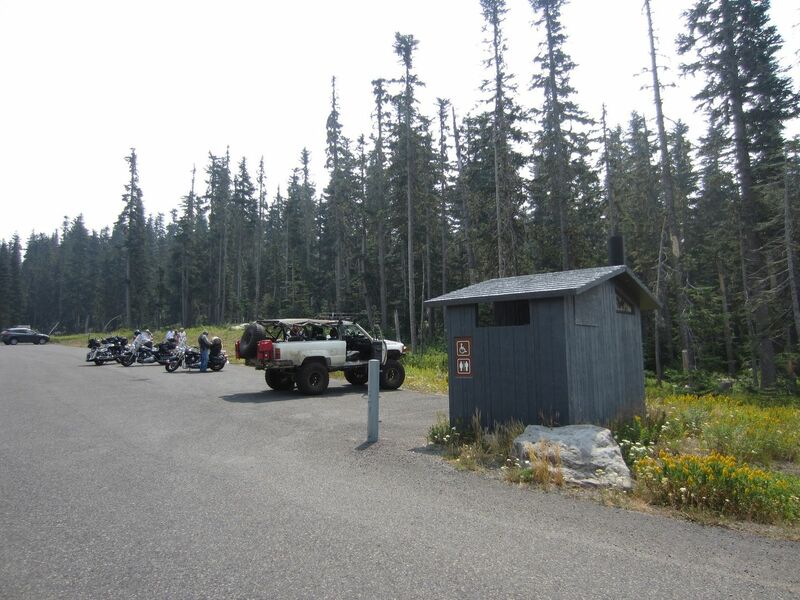 The trailhead and staging area is at Bennett Pass Trailhead/Sno Park along the road to Mount Hood Meadows Ski Resort. A well-maintained pit toilet is available at the bottom of the parking area. 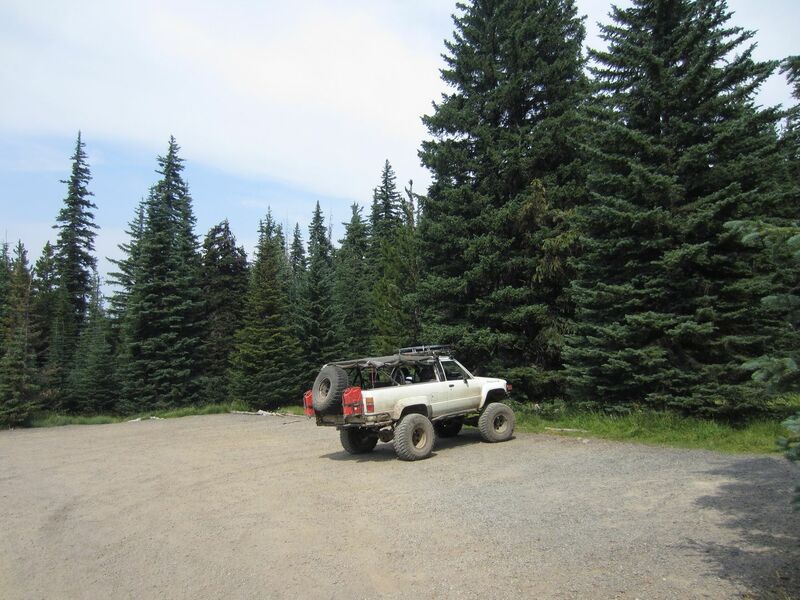 On summer weekends, the trailhead is often full of cars for hikers and mountain bikers. The trail starts at the east end of the pavement. Stay east (left) at the intersection with 3550-250. 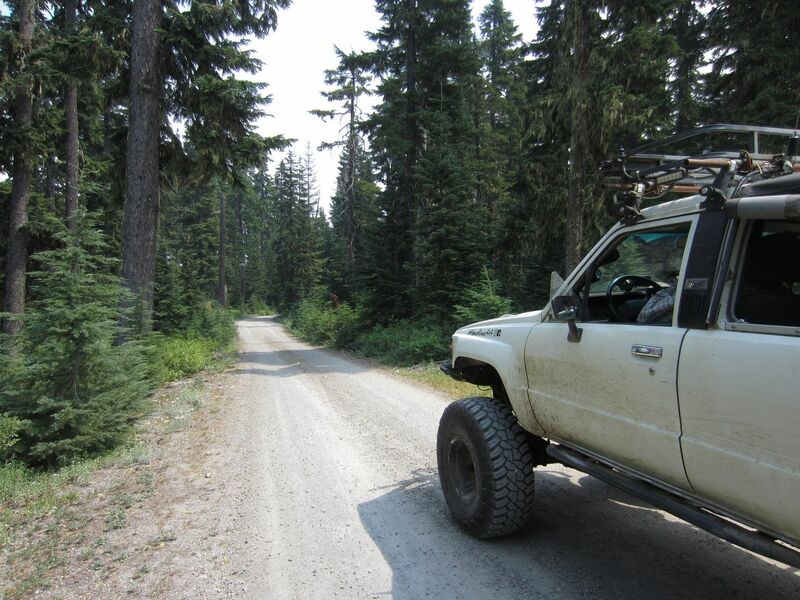 The 3550-250 road goes a short distance into the woods and dead-ends. Stay east (left) at the intersection with 3550-222. 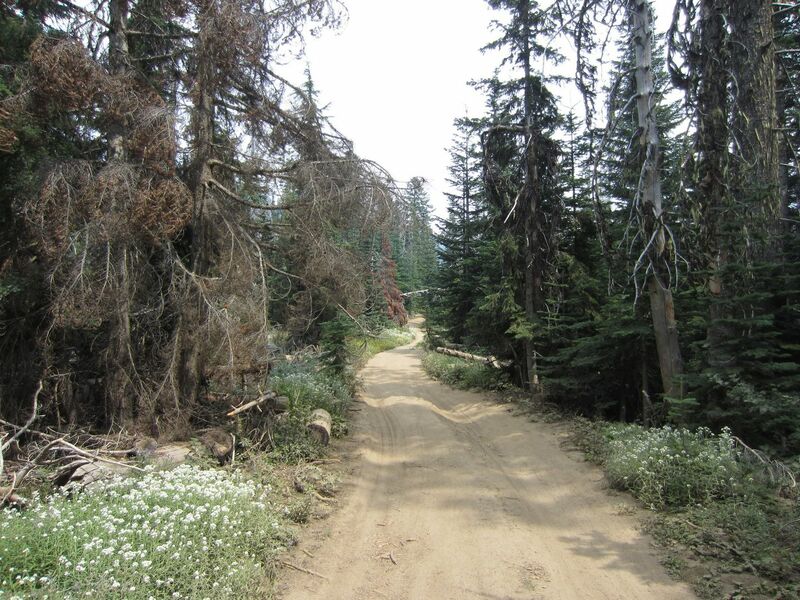 The spur road 3550-222 branches into several stub roads that quickly dead end in the forest to the south of Bennett Pass Road. Take the southeast (right) turn at the intersection with 3550-630. 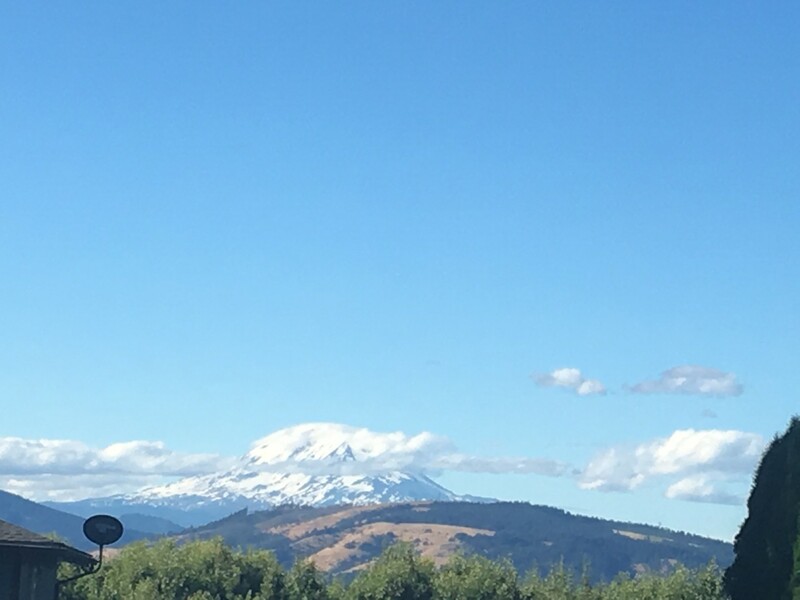 There are good views of Mount Hood on the north side of the road here. Stay east (left) at the intersection with 3550-240. 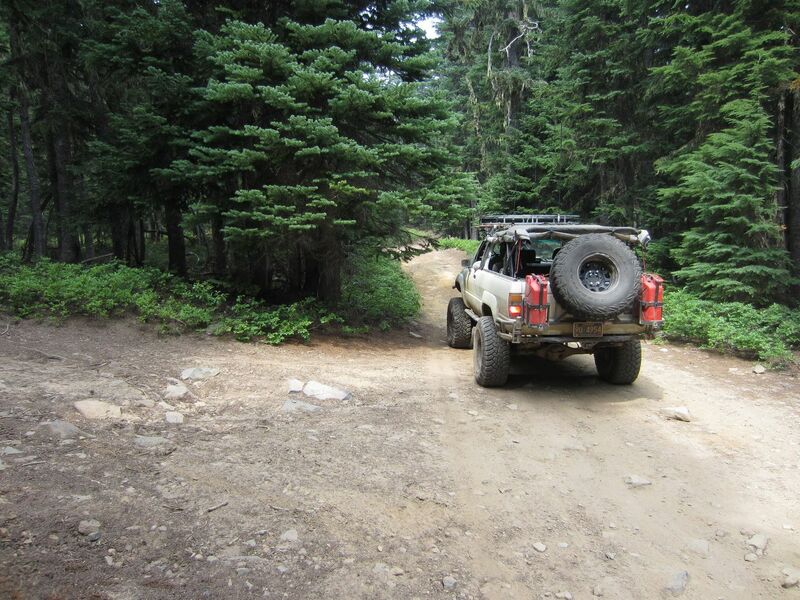 The trail begins to get more narrow and rutted as you ascend into the forest and turn more toward the south. 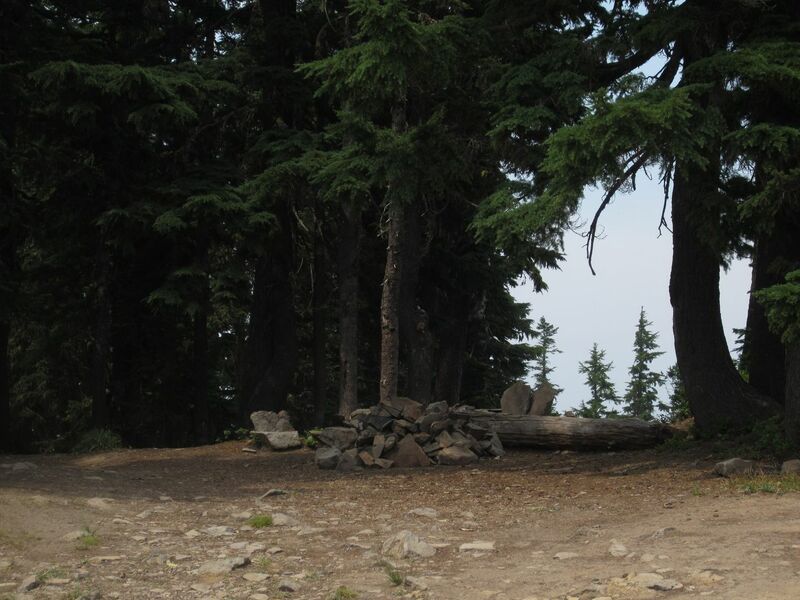 There is a good view of Mount Hood here and a small campfire ring although there is nowhere level to pitch a tent. 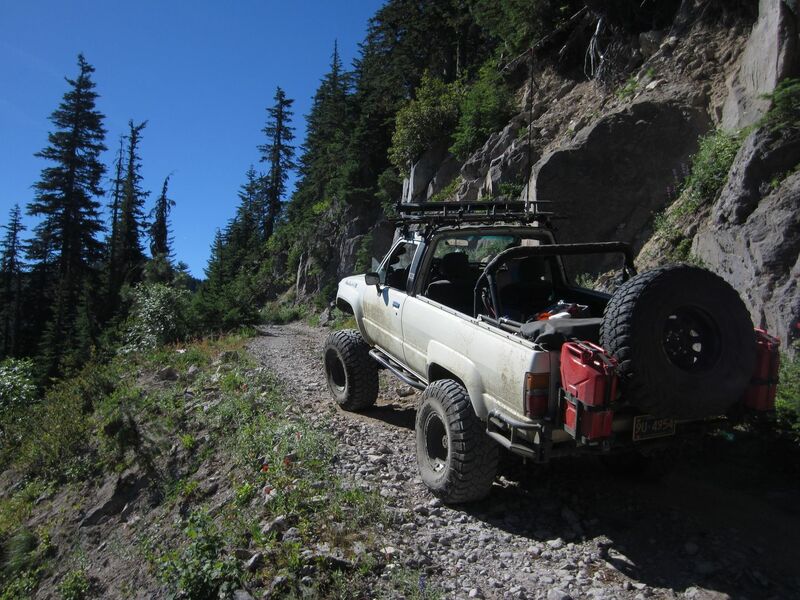 The section of shelf road around Waypoint 6 is the narrowest, most off camber, and most exposed shelf road of the entire trail. Watch your wheel placement. 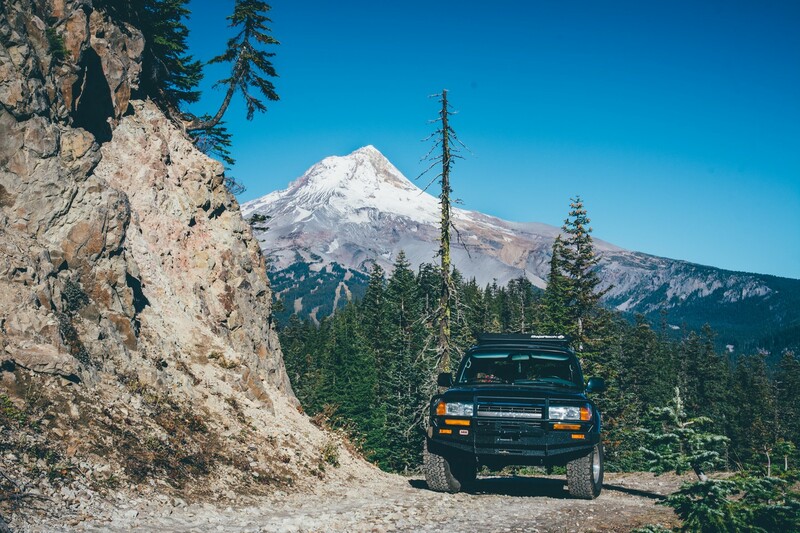 The views of Mount Hood here are spectacular and make for a great photo opportunity. There is one area where you can safely pass at the blind corner. This pull-out can hold 3-4 vehicles. 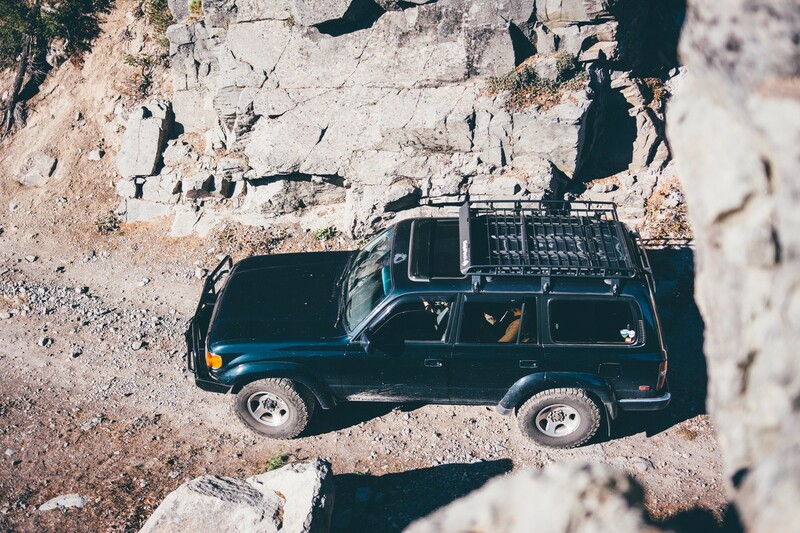 At the rocky saddle, it is possible to squeeze one vehicle by another. 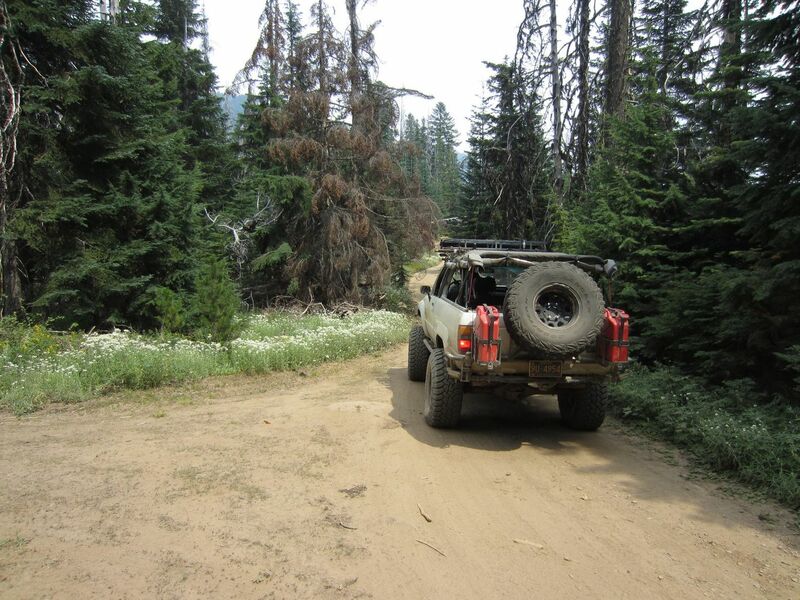 Once you are back in the forest, there are more opportunities to pull off and let oncoming traffic pass. 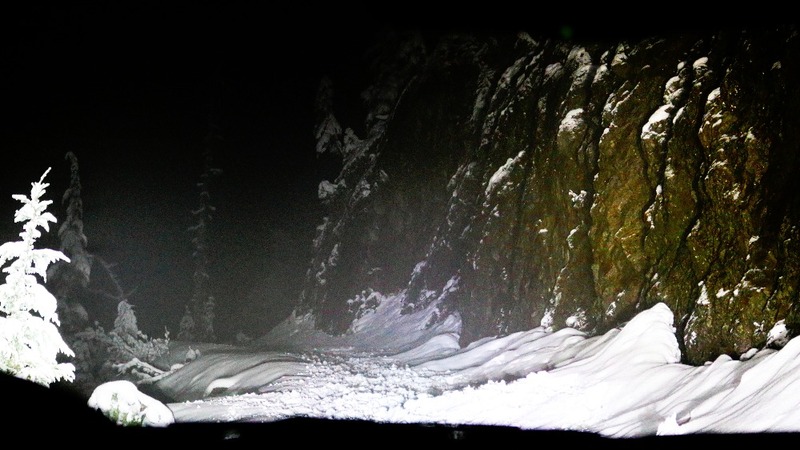 During the snowy winter months, this is an unsafe section of road to traverse. 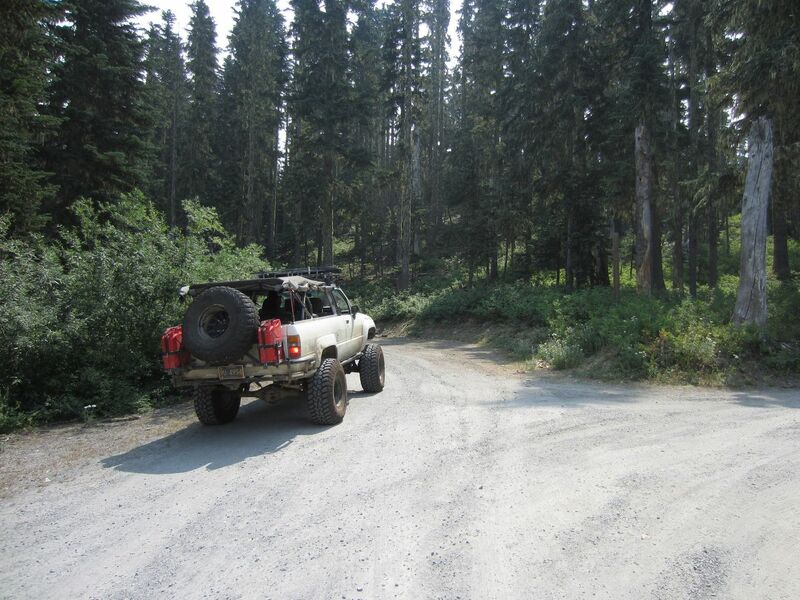 There is significant exposure on the downhill side and the shelf road has enough camber to allow a vehicle to slip off the side of the road. Turn northeast (left) at the intersection with 4891. Road 4891 continues to the south as a narrow shelf road. This is a good place to wait for your group to catch up if you have stretched out along the trail. At 4860, stay to the northeast (far left). 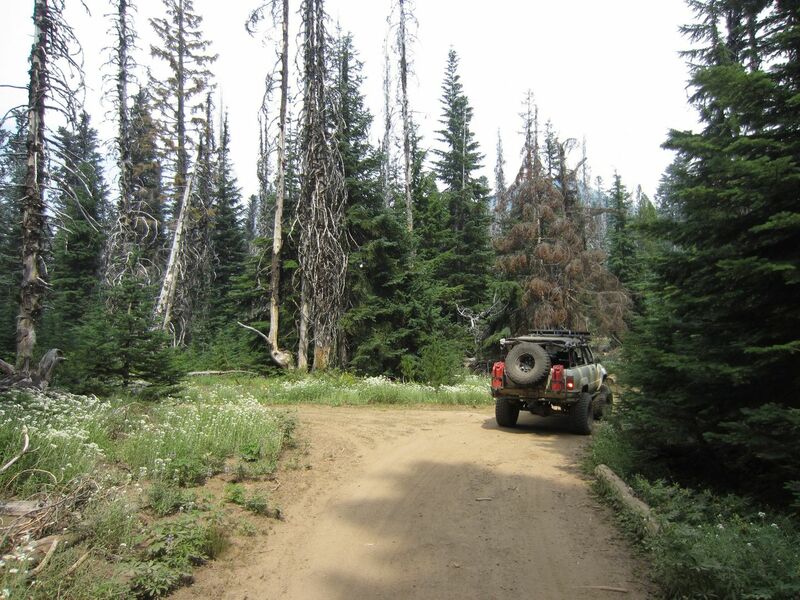 4860, also known as Grasshopper Road, provides access to Badger Lake Campground. 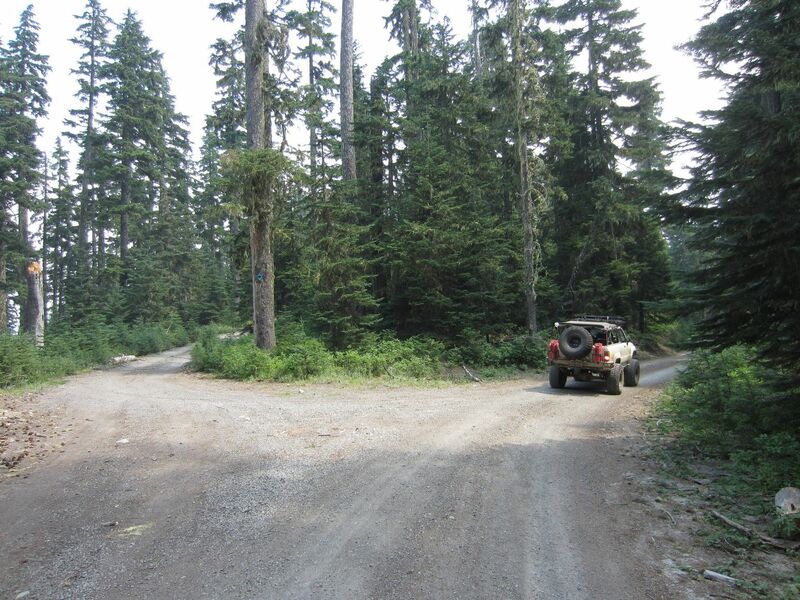 There is a short, rough spur road (4860160) at this intersection that heads south to Windy Campground. Continue north (straight) past a small, unmarked trail on the left. 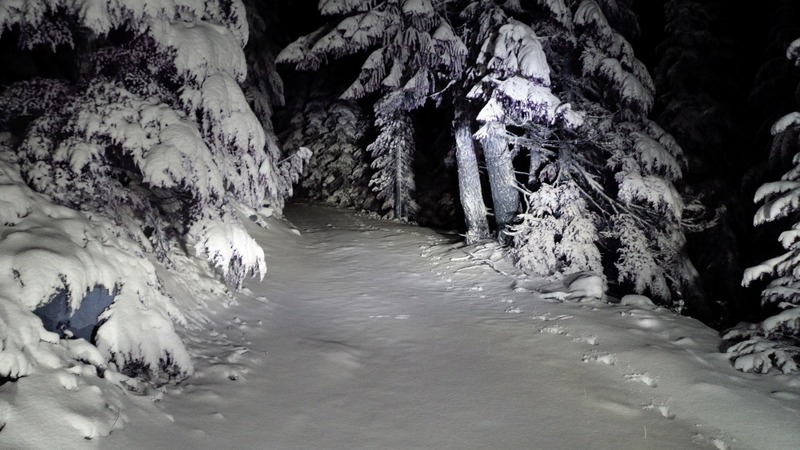 The unmarked trail runs a short distance into the woods to a campsite. 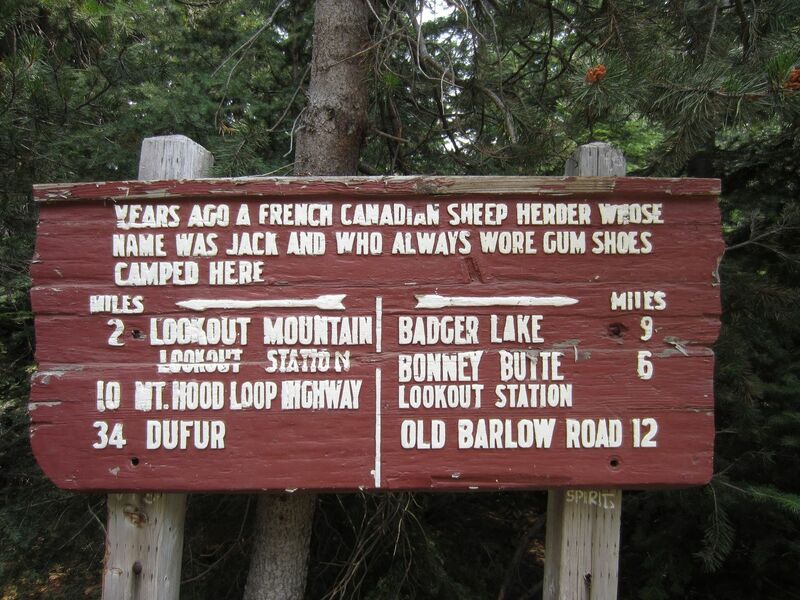 At the Gumjuwac Saddle you will find a historical interpretive sign on the east side of the trail that indicates a French Canadian sheep herder by the name of Jack used to camp here. He wore gum shoes when out in the forest. 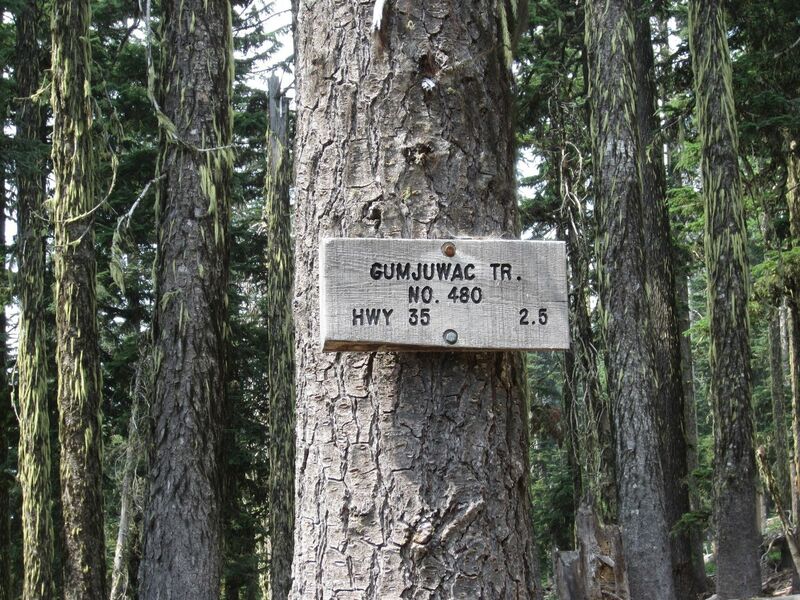 Hence the name Gumjuwac Saddle and the nearby Jack Springs. A hiking and mountain biking trail crosses the road here. Another hiking and biking trail parallels the road through this area. On popular weekends, it is common to see foot traffic at this waypoint. Stay to the north (right) at the unmarked trail in the fire scar area. 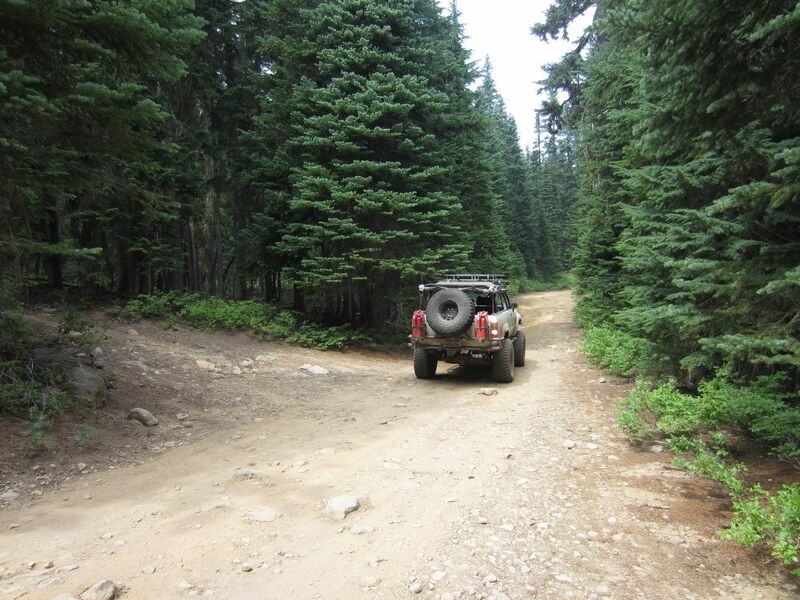 The unmarked trial runs a short way to a campsite. Be careful in this section of the deep dust. 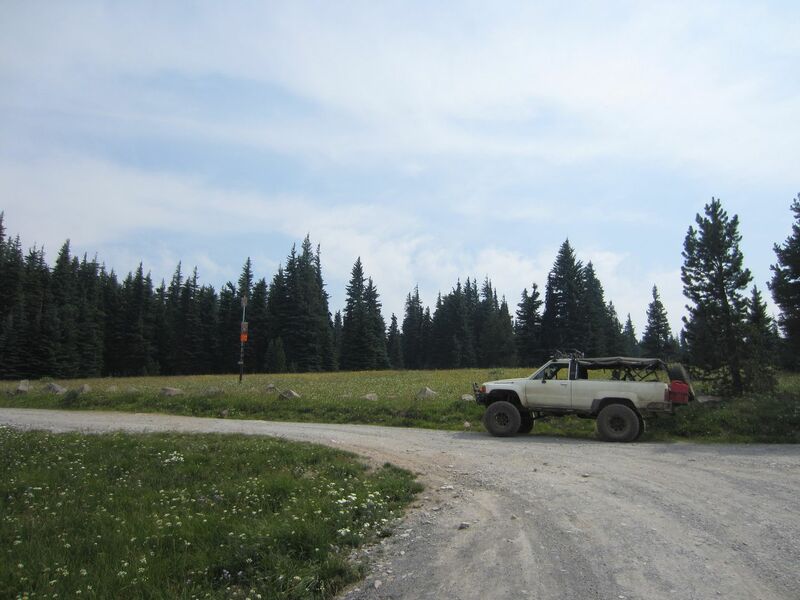 The intersection of Lookout Mountain Road and 4420 with Bennett Pass Road marks the end of this trail. 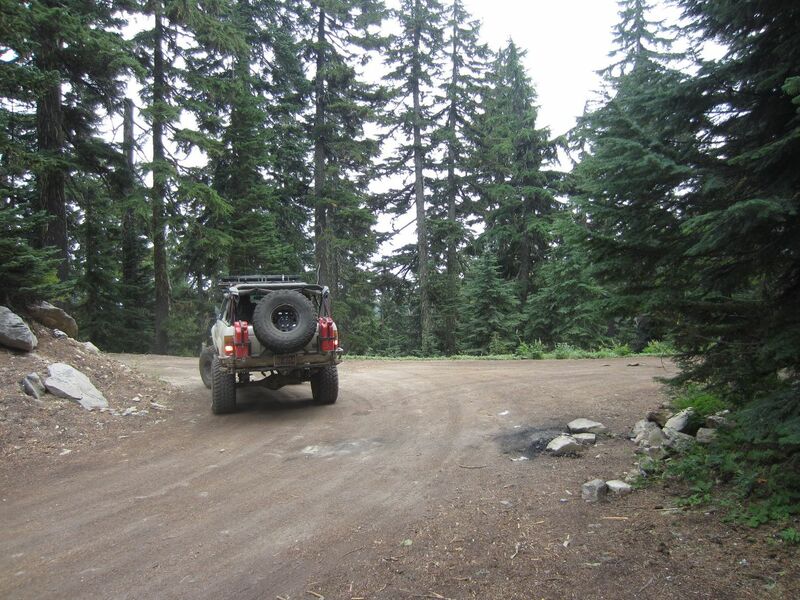 Proceed north (to the left) onto Lookout Mountain Road if you wish to return to Oregon Highway 35. 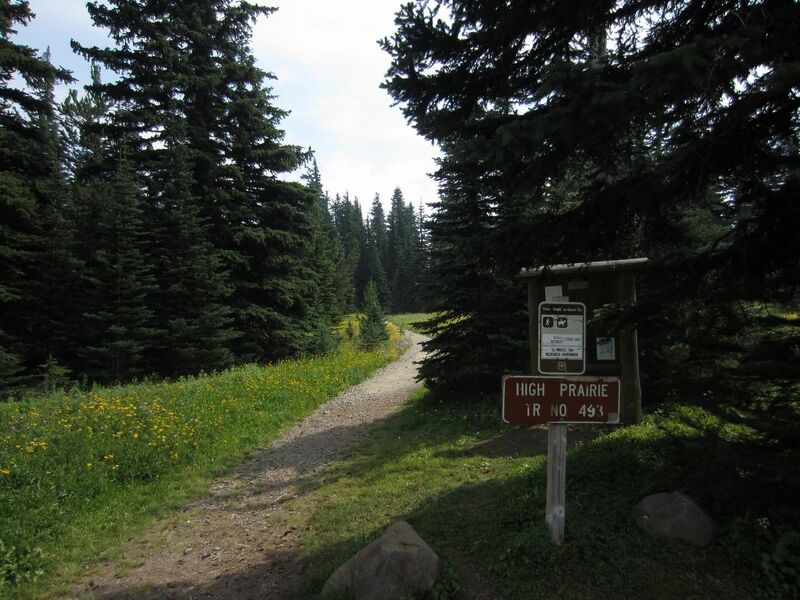 Proceed east (to the right) onto 4420 to visit the restrooms and the High Prairie Trailhead. 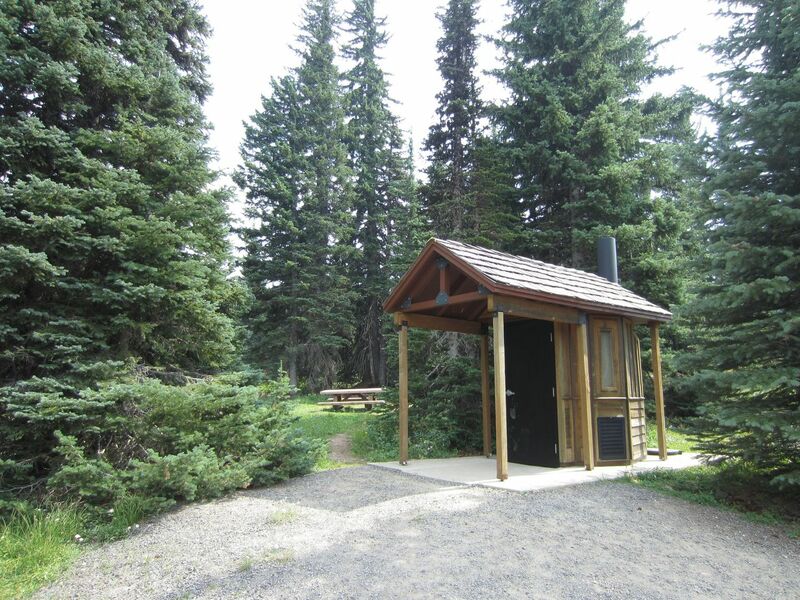 The High Prairie Trailhead is a good place to take a break with the picnic benches, pit toilets, and ample (day fee required) parking. On popular summer weekends, this area is packed with cars that can spill down onto Lookout Mountain Road. From Government Camp, head east on US 26. 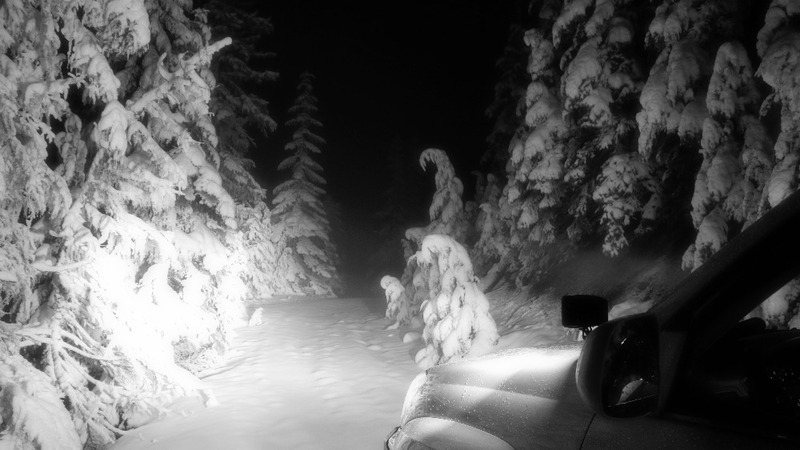 Take the right turn onto Oregon Highway 35 toward Hood River and Mount Hood Meadows Ski Area. 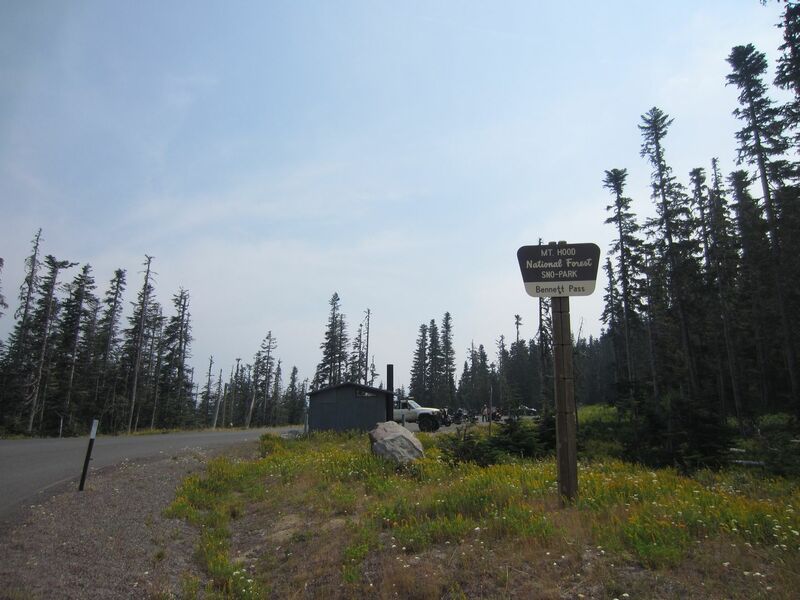 After about nine miles, take the exit for Mount Hood Meadows and Bennett Pass Trailhead/Sno Park. 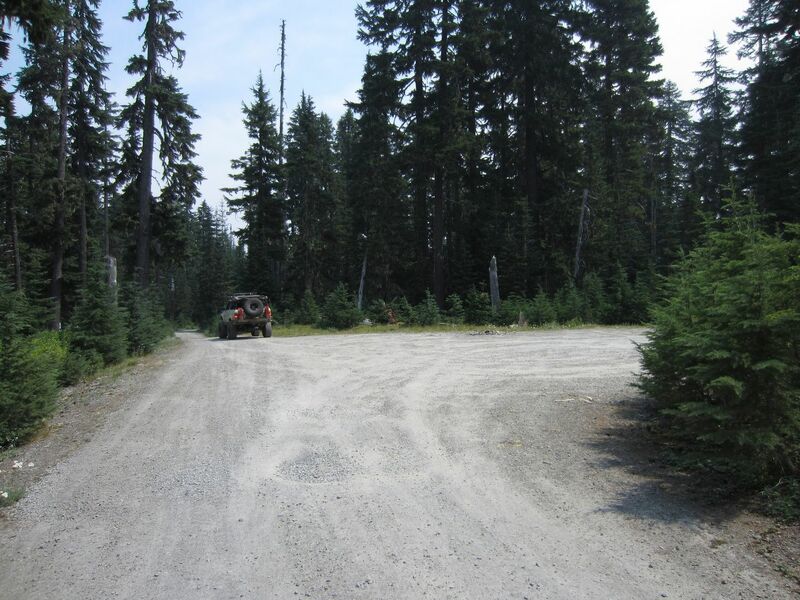 The trailhead and staging area are to the right at the pit toilet. Dispersed camping is allowed along the trail. Several of the spur roads at the start of the trail have camping sites although highway noise makes these spots less desirable. 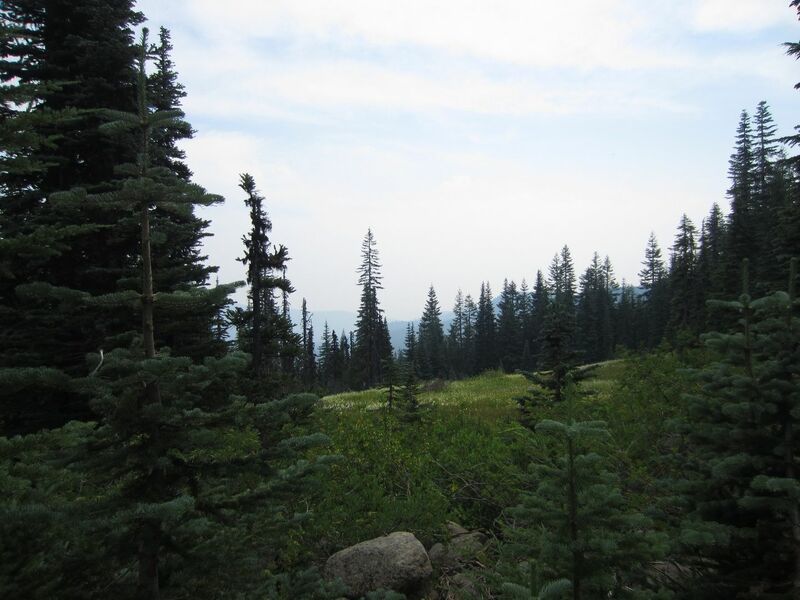 Toward the middle of the trail, there are several campsites with astounding views of the surrounding mountains. 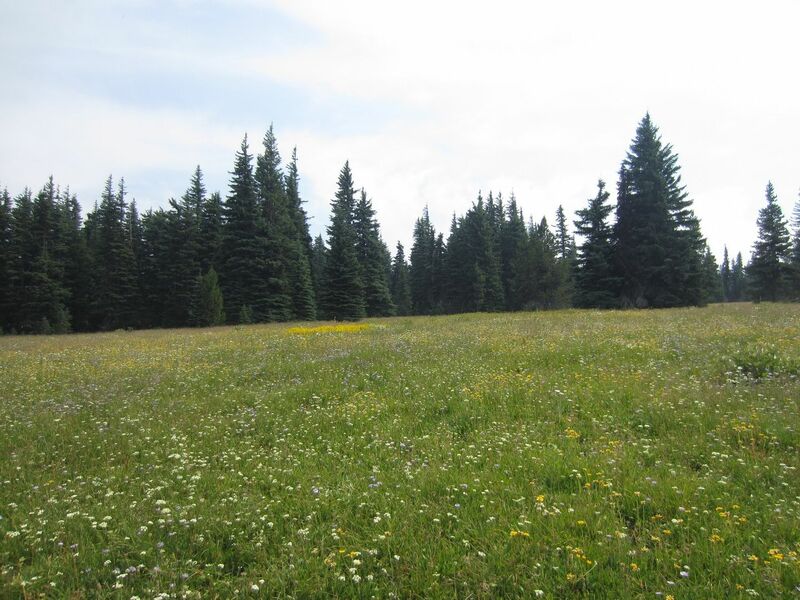 Badger Lake Campground and Windy Campground are both near the trail. 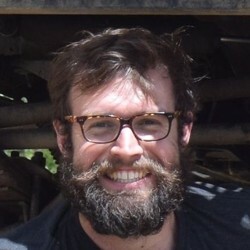 Q: Im debating the 3-5 trail rating. Outside of snow what makes this not drivable in a 2wd car? 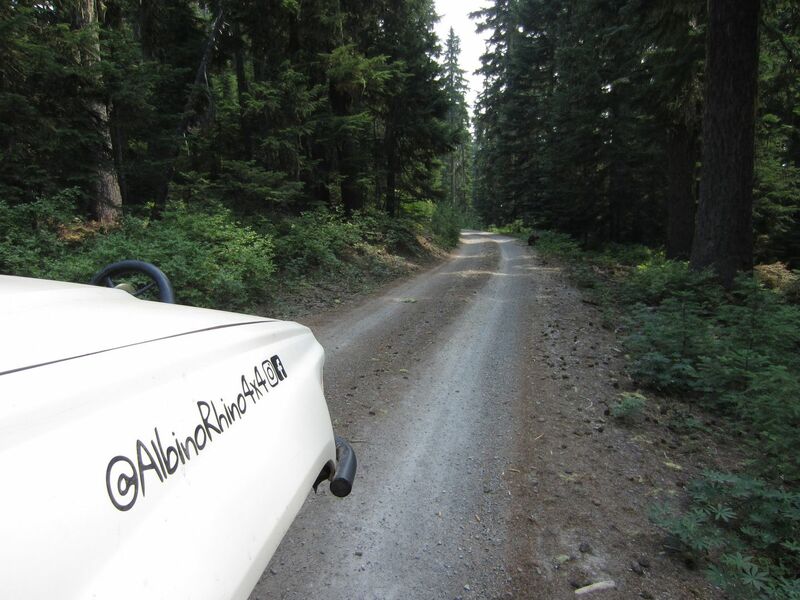 A: How much damage are you willing to do to a 2wd car? 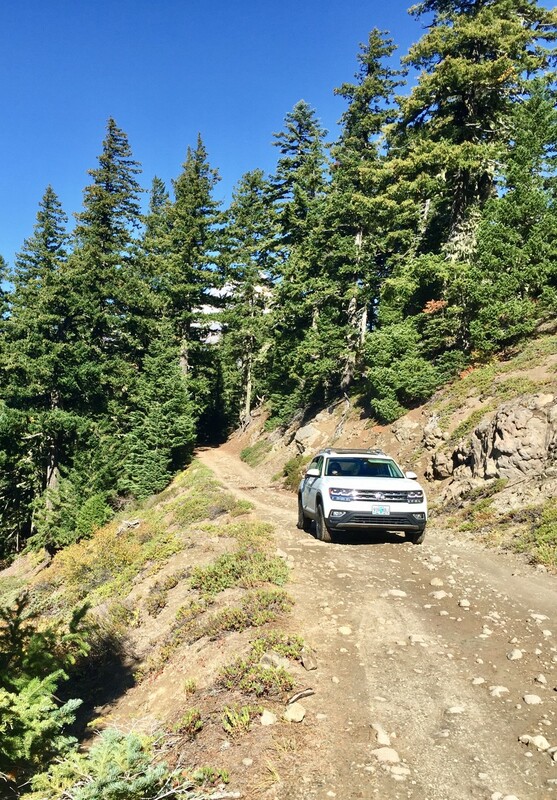 While 4x4 might not be totally necessary when the trail is dry, a high clearance vehicle with good off road tires is a must. 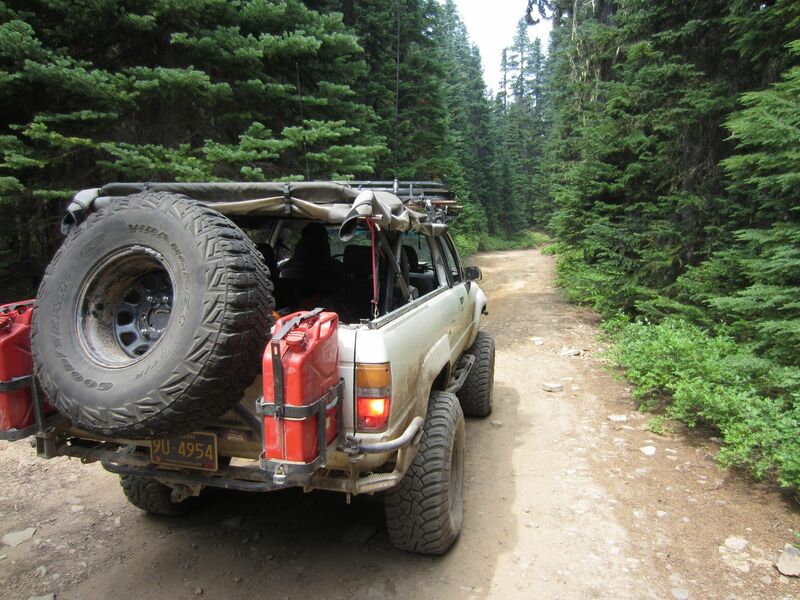 Personally, I didn't think the narrow shelf road section at waypoint 6 was very tough at all. However, the section between waypoints 8 and 10 seemed to be the worst when I drove though and was much more challenging than anything the pictures show. 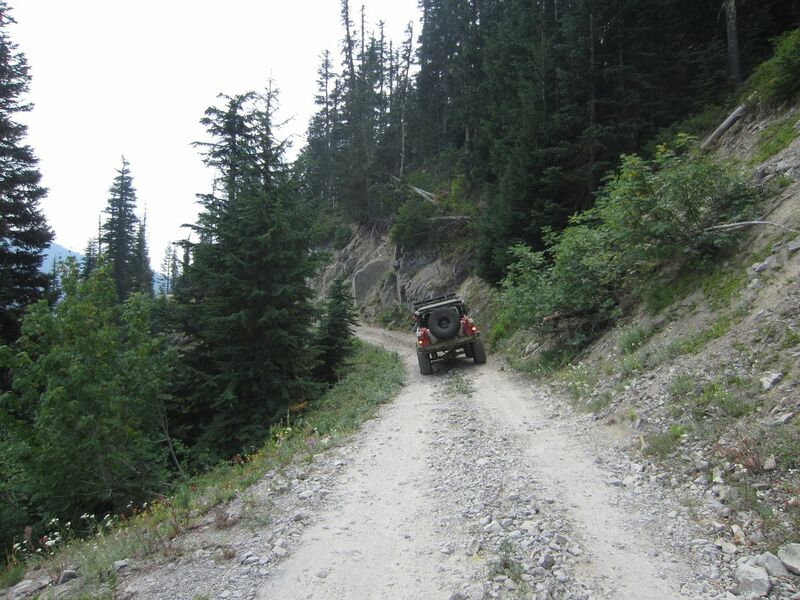 It was very rocky and had some deep ruts from all the recent snow melt which made for very slow going, not something I would want to do in a 2wd car. The trail is now open for the season although there is still a lot of snow around. Be careful on the shelf road section as it is a north-facing slope. If you encounter snow and ice, be very cautious with proceeding. 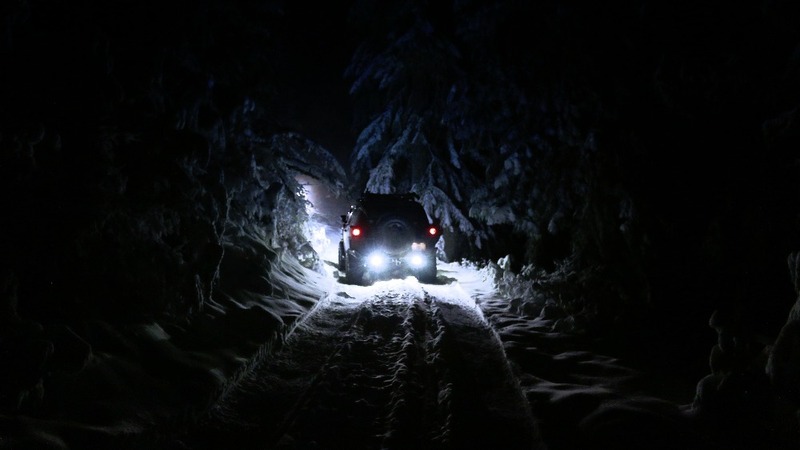 The trail is now closed for the season to 4x4s. 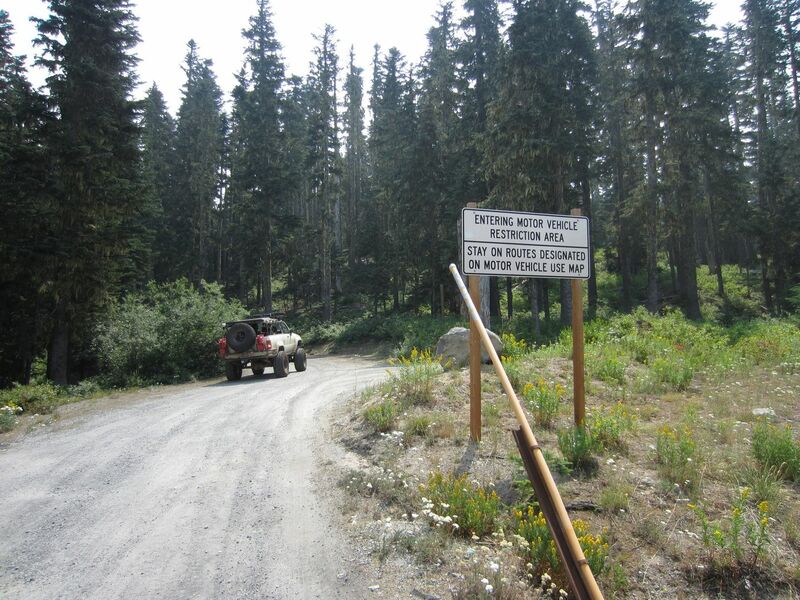 This allows snow mobiles, cross country skiers, and snow shoers to have access to winter recreational resources. 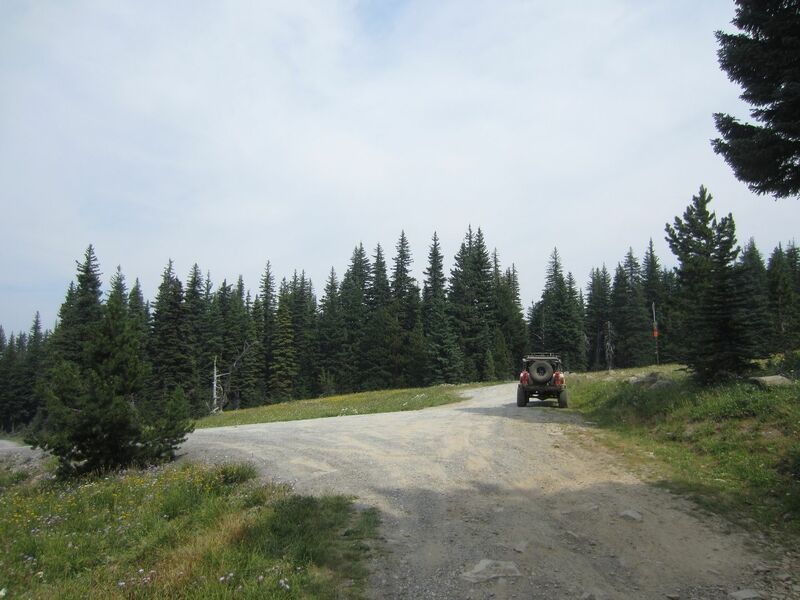 Additionally, the closure protects winter ranges for deer, elk and several other species. Please respect the closure to conserve our resources. While still technically open for a few more days, the road is all but impassable now. Someone nearly went off the side a little ways before Waypoint 12 last weekend. Now that people have driven on the road in the snow, there is likely significant ice buildup at Waypoint 6. We drove Bennett Pass this past Saturday during some phenomenal Fall weather (70 degrees and bluebird skies) for our first time ever. We followed the downloadable GPX tracks from this page, and it made the journey incredibly easy and worry free. The road itself was very unique along the shelf road and delivered some absolutely stunning views of Mt. Hood. 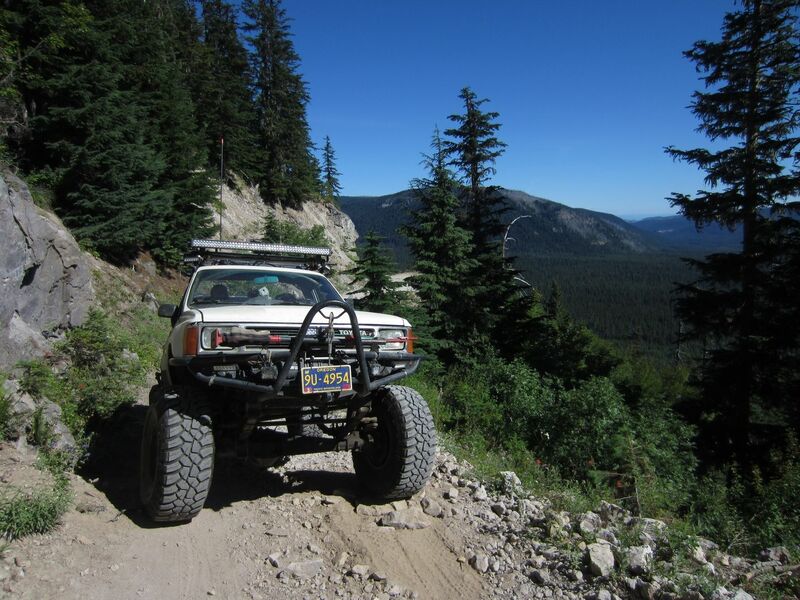 Overall it's a very doable road in dry conditions, and our stock hight 80 series Land Cruiser loaded down had no troubles whatsoever. 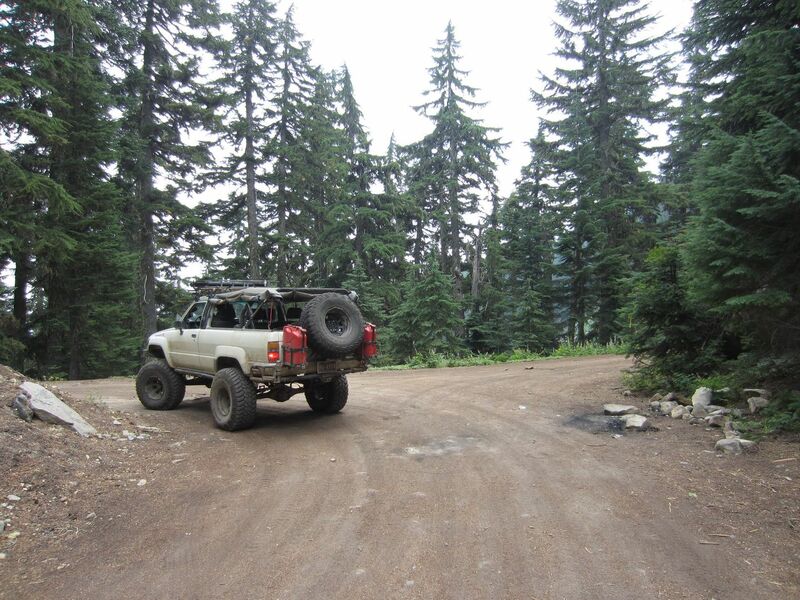 I can see the trail getting much more difficult and potentially impassible after a heavy rainstorm or snow though. Overall a great road with even better views! It makes me proud to live locally and know we have areas such as this that are available. 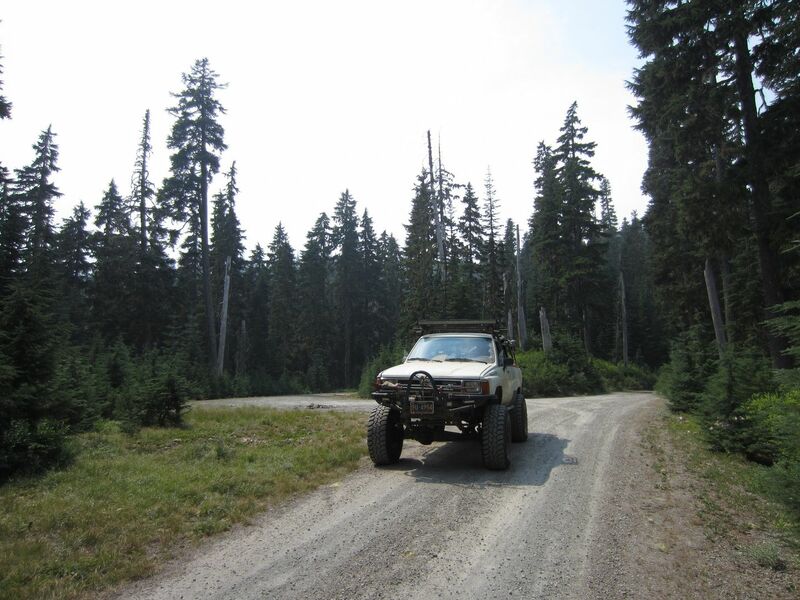 Combined Bennett Pass with a trip to Badger Lake. Beautiful volcano views. Easy trail when dry, some clearance needed in rutted sections. Saw a few Subaru’s along the way. Very nice trail. Still some slushy snow in a couple of spots, but nothing that causes any really problem. Met with light slush fall at an empty Bennett Pass Sno Park lot around 1p, we were soon being followed by a stock Audi Allroad and stock F-150. The Audi turned around at Waypoint 3. 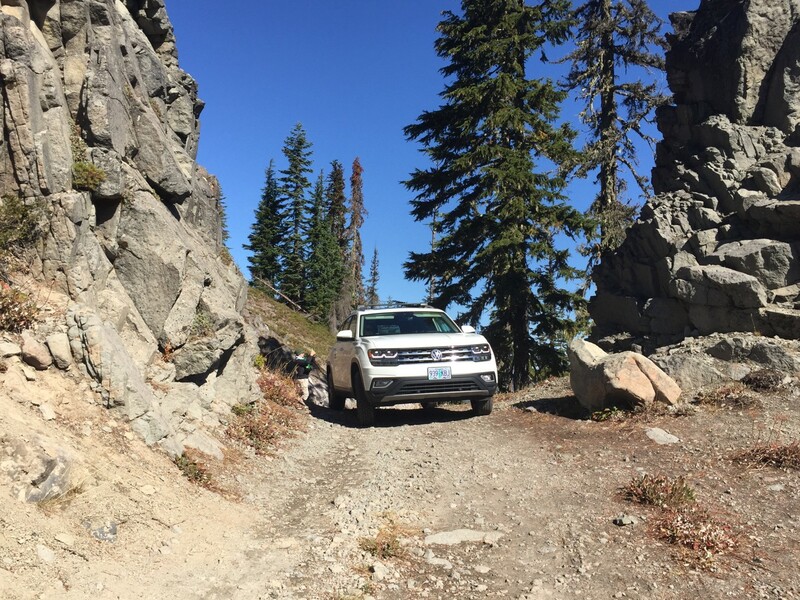 The F-150 continued past Waypoint 6 where we decided it was too wet to attempt the "Terrible Traverse" at Waypoint 6 in our stock XC90. We walked out the shelf road to the blind corner. Just before the blind corner there was a small wash-out in the road, making the shelf road barely 1 rig wide. 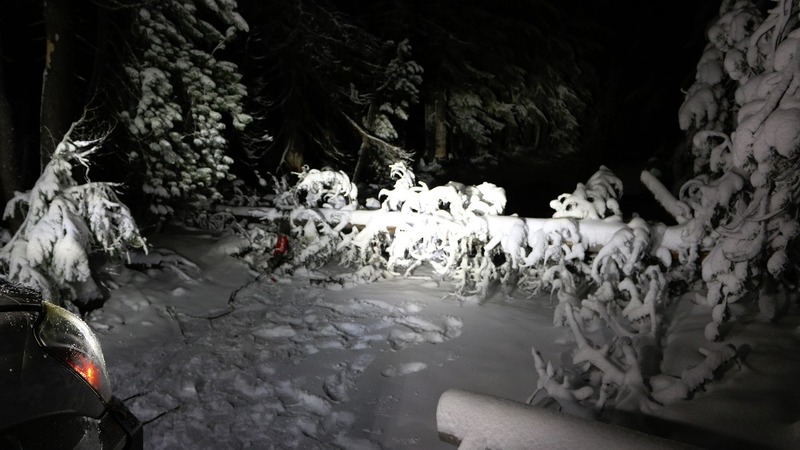 Combined with the slushy snowfall and usual camber of this obstacle, we decided that it was not safe to proceed and didn't want to end up in the treetops. From Waypoint 1 thru to the terrible traverse at Waypoint 6, we encountered many downed trees which had been graciously cleared (to the full width of the road). We encountered some water puddles in the road at some spots, but the bottoms were firm. 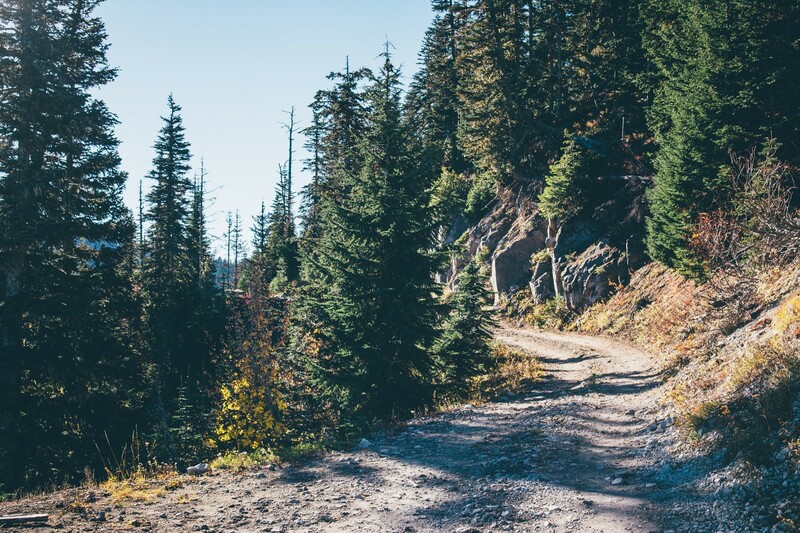 There are plenty of fallen branches and small round rocks in the road ruts which should be navigated with caution in a stock vehicle. Overall pleasant drive, but better during dry clear conditions. 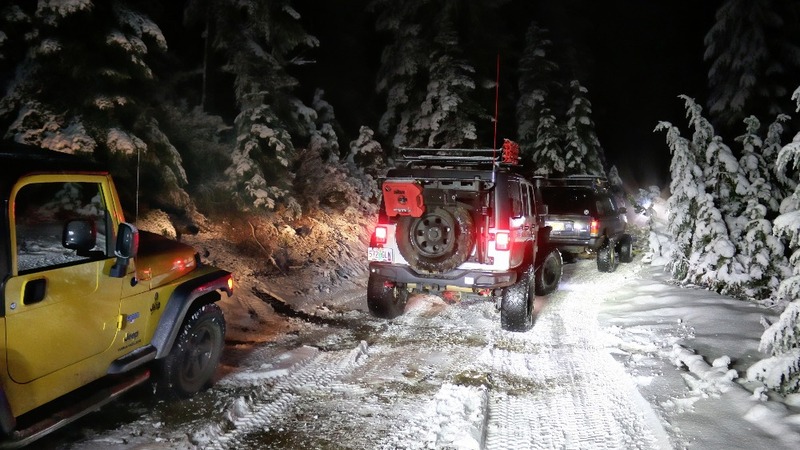 4x4 Snow trip last night with 12 rigs. Took Bennett Pass to Badger Lake with plenty of challenges along the way. Ran into a white knuckler portion halfway on the trip. Only two rigs were willing to give it a try. Fortunately, we made it safely. Good time had by all playing in the snow. Great day on this trail. Pictures and description of the road was very helpful. Thanks for the work. Had a wonderful time on the trail with Matt and his family. 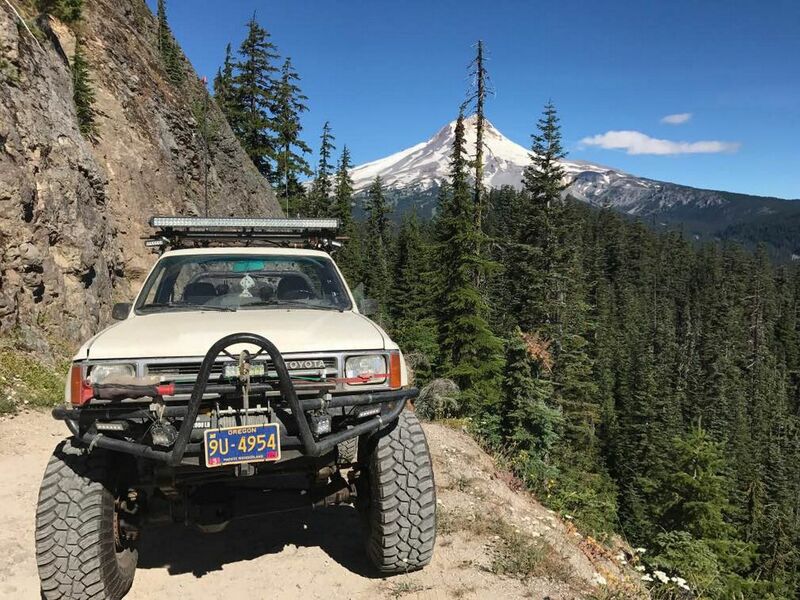 This trail has to have some of the best views in northwest Oregon! Absolutely stunning.